Are you bold enough to make it happen? 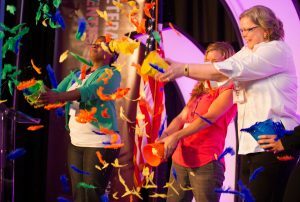 Veteran Women Igniting the Spirit of Entrepreneurship (V-WISE) was created to empower women veterans and military spouses/partners to find their passion and learn the business savvy skills necessary to turn an idea or start-up into a growing venture. V-WISE is funded in part through a Cooperative Agreement with the U.S. Small Business Administration and the generous philanthropic support of corporate and foundation partners nationwide. The program is open to all women veterans, active duty female service members and female partners/spouses of active service members and veterans who share the goal of launching and growing a sustainable business venture. More than 20 distinct modules of training in opportunity recognition, business planning, financing, economics, marketing, access to capital, business law, social media and more! A $75 registration fee includes educational materials, two nights of lodging during residency, and most meals. In addition to the registration fee, participants are responsible for their travel to/from the conference. There are 2,375 V-WISE graduates to date. 65% of V-WISE grads have launched or grown their own business after participating in the program, with 93% of those businesses still in operation today. Recognized as a “Bright Idea” by Harvard University’s John F. Kennedy School Innovations in American Government program.